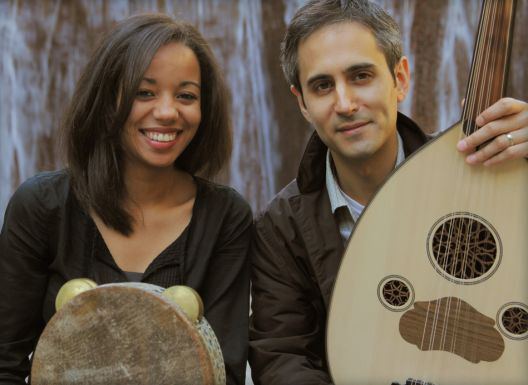 The Walters Cultural Arts Center (527 E. Main St., Hillsboro) presents Seffarine, featuring soulful Moroccan singer Lamiae Naki, flamenco guitarist Nat Hulskamp, and an international blend of melodies. Seffarine will deliver their original and intoxicating sound, described by “Bass Player Magazine” as a “gorgeous intersection” of Mediterranean and Middle Eastern genres and culture, on Friday, February 22 at 7:30 p.m. Tickets are $18 advance or $22 the day of the performance. More information about this performance and the 2018-19 Concert Series is available at Hillsboro-Oregon.gov/WaltersConcerts and tickets can be purchased online at www.brownpapertickets.com, by calling 503-615-3485, or in person at 527 E. Main St., Hillsboro. The 2018-19 Walters Concert Series is presented with thanks to series sponsor Aloft Hillsboro-Beaverton.